Bicycle-friendly policies and practices help some people feel more comfortable about traveling by bicycle with other traffic. The level of bicycle-friendliness of an environment can be influenced by many factors resulting from town planning and cycling infrastructure decisions. Assuming people prefer to get to their destination quickly, town planning and zoning may affect whether schools, shops, public transport interchanges and other destination are within a reasonable cycling distance of the areas where people live. If urban form influences these issues, then compact and circular settlement patterns as in Elizabeth, NJ may promote cycling. 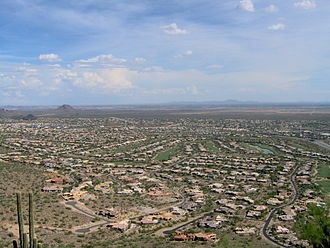 Alternatively, the low-density, non-circular (i.e., linear) settlement patterns characteristic of urban sprawl as in nearby Downtown Newark tends to discourage cycling. In 1990, the Dutch adopted the "ABC" guidelines, specifically limiting developments that are major attractants to locations that are readily accessible by non-car users. 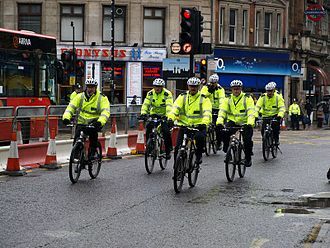 The manner in which the public roads network is designed, built and managed can have a significant effect on the utility and safety of cycling as transport. 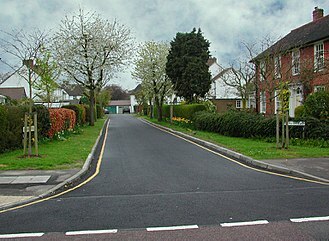 Settlements that provide a dense roads network consisting of interconnected streets will tend to encourage cycling. 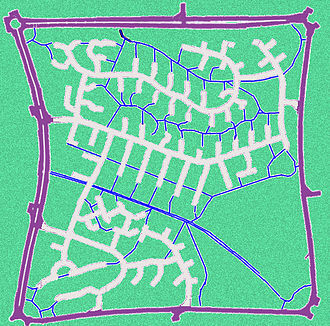 In contrast, other communities may use a cul-de-sac based, housing estate/housing subdivision model where minor roads are disconnected and only feed into a street hierarchy of progressively more "arterial" type roads. 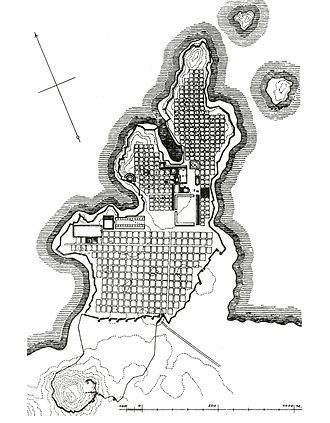 Designs that propose to resolve the contradiction between the cul-de-sac and the traditional interconnected network, such as the Fused Grid, have been proposed and built with varying levels of success. In the UK, the principle of 'filtered permeability' has been proposed in some Government guidance, to maximise the ease of movement of cyclists and pedestrians, whilst constraining it for motor vehicles, see: Permeability (spatial and transport planning). A community's infrastructure can affect its citizens’ health, especially in regard to obesity and physical activity. Cities that incorporate bicycle routes have a higher percentage of bicycle commuters. Studies have shown that even moderate increases in physical activity can have a substantial effect on health. Bicycling to work has been shown to decrease mortality by as much as 40%. Bicycling is often used as an alternative to travel by car. Automobile travel provides increased mobility and convenience for travelers, but also has high costs associated with taxes, insurance, fuel, maintenance, road construction and repair, and contributes to air pollution. When infrastructure is built to allow consumers to choose between automobile and other forms of travel, it reduces a community's automobile dependency and allows for more efficient land usage. In the U.S., the League of American Bicyclists has formally recognized some cities as bicycle-friendly communities for "providing safe accommodation and facilities for bicyclists and encouraging residents to bike for transportation and recreation." The British tourist board  award holiday accommodation providers who are cycle friendly with a "Cycle Friendly" award. Websites such as Beds for Cyclists allow you to search through these. 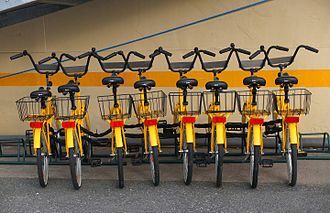 After the League of American Bicyclists designated New Orleans as a Bicycle Friendly City in 2011, bike tour companies like French Quarter Bike Tours subsequently became popular. ^ Russell P Lopez and H Patricia Hynes. Obesity, physical activity, and the urban environment: public health research needs. 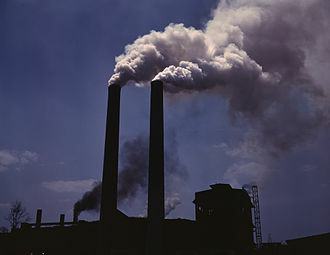 Environmental Health: A Global Access Science Source. Vol. 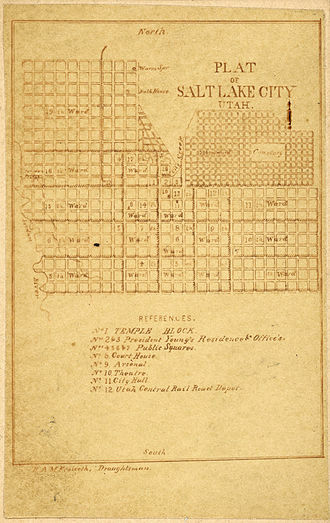 5, pg. 25, 2006. ^ Arthur C. Nelson and David Allen. If You Build Them, Commuters Will Use Them: Association Between Bicycle Facilities and Bicycle Commuting. Transportation Research Record: Journal of the Transportation Research Board. Vol.1578, pg. 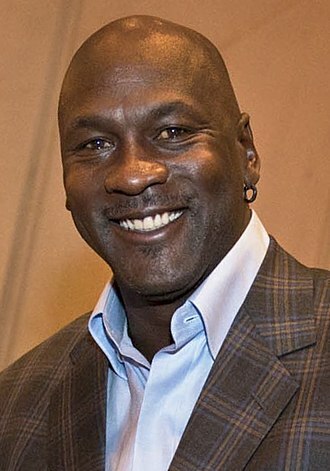 79-83, 1997. ^ Lars Bo Andersen, Peter Schnohr, Marianne Schroll and Hans Ole Hein. All-Cause Mortality Associated With Physical Activity During Leisure Time, Work, Sports, and Cycling to Work. Arch Intern Med, Vol. 160, pg. 1621–1628, 2000. ^ Todd Litman Felix Laube. Automobile Dependency and Economic Development. Victoria Transport Policy Institute. 2002. Shared Space. No code on German roads (Video, 2:42). France 24 English. A person who rides a bicycle is called a cyclist or a bicyclist, and the activity is called cycling. Also known as a bike, push bike or cycle and these innovations have continued with the advent of modern materials and computer-aided design, allowing for a proliferation of specialized bicycle types. Recreation, bicycle touring, mountain biking, BMX and physical fitness, scouting, troop movement, supply of provisions, and patrol. Show and performance, e. g. circus clowns, used as instrument by Frank Zappa. List of bicycle types Bicycles can be categorized in different ways, e. g. by function, by number of riders, by general construction, by gearing or by means of propulsion. The more common types include utility bicycles, mountain bicycles, racing bicycles, touring bicycles, hybrid bicycles, cruiser bicycles, less common are tandems, tall bikes, fixed gear, folding models and recumbents. 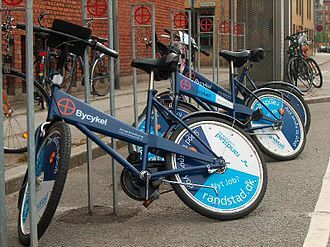 Unicycles and quadracycles are not strictly bicycles, as they have respectively one, more recently, bicycle technology has in turn contributed ideas in both old and new areas. A bicycles performance, in both biological and mechanical terms, is extraordinarily efficient. In terms of the amount of energy a person must expend to travel a given distance, in terms of the ratio of cargo weight a bicycle can carry to total weight, it is a most efficient means of cargo transportation. The higher efficiencies in each range are achieved at higher power levels, a human being traveling on a bicycle at 16–24 km/h, using only the power required to walk, is the most energy-efficient means of human transport generally available. Air drag, which increases with the square of speed, requires higher power outputs relative to speed. A bicycle in which the rider lies in a position is referred to as a recumbent bicycle or, if covered in an aerodynamic fairing to achieve very low air drag. On firm, flat ground, a 70 kg person requires about 60 watts to walk at 5 km/h, active humans can produce between 1.5 W/kg and 24 W/kg. 5 W/kg is about the level reachable by ordinary male athletes for longer periods, maximum power levels during one hour range from about 250 W to 500 W The energy input to the human body is in the form of food energy, usually quantified in kilocalories or kiloJoules. This can be related to a distance travelled and to body weight. The rate of consumption, i. e. the amount consumed during a certain period ot time, is the input power. This can be measured in kcal/day or in J/s = W and this input power can be determined by measuring oxygen uptake, or in the long term food consumption, assuming no change of weight. This includes the power needed just for living, called the basal metabolic rate BMR or roughly the resting metabolic rate, the required food can be calculated by dividing the output power by the muscle efficiency. From the example above, if a 70 kg person is cycling at 15 km/h by expending 60 W, for calculating the total food required during the trip, the BMR must first be added to the input power. If the 70 kg person is an old, short woman, her BMR could be 60 W, viewed this way the efficiency in this example is effectively halved and roughly 2 kJ/ total food is required. With long and fast or uphill cycling, the food requirement however becomes evident. Bicycle touring means self-contained cycling trips for pleasure and autonomy rather than sport, commuting, or exercise. Touring can range from single-to multi-day trips, even years, Tours may be planned by the participant or organised by a holiday business, a club, or a charity as a fund-raising venture. Historian James McGurn speaks of bets being taken in London in the 19th century for riders of hobby-horses – machines pushed by the rather than pedaled – outspeeding stagecoaches. One practitioner beat a four-horse coach to Brighton by half an hour, There are various accounts of 15 to 17-year-olds draisienne-touring around France in the 1820s. 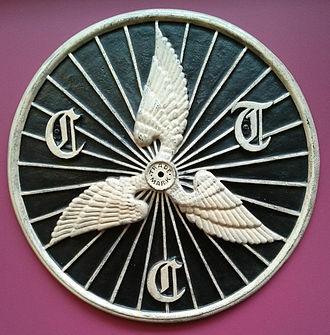 On 17 February 1869 John Mayall, Charles Spencer and Rowley Turner rode from Trafalgar Square, the Times, which had sent a reporter to follow them in a coach and pair, reported an Extraordinary Velocipede Feat. Three riders set off from Liverpool to London, a journey of three days and so more akin to modern cycle-touring, in March that same year. A newspaper report said, Their bicycles caused no little astonishment on the way, at some of the villages the boys clustered round the machines, where they could, caught hold of them and ran behind until they were tired out. Many enquiries were made as to the name of them queer horses, some called them whirligigs, between Wolverhampton and Birmingham, attempts were made to upset the riders by throwing stones. The New York Times spoke of quantities of flying like shuttles hither and thither. But while British interest had less frenzy than in the United States, the expansion from a machine that had to be pushed, or propelled through pedals on a small front wheel, made longer distances feasible. A rider calling himself A Light Dragoon told in 1870 or 1871 of a ride from Lewes to Salisbury, across southern England. The title of his book and Woes, suggests a less than event-free ride but McGurn says it seems to have been an adventure, despite bad road surfaces, dust. John Foster Fraser and two set off round the world on safety bicycles in July 1896. He, Edward Lunn and F. H. Lowe rode 19,237 miles, through 17 countries, by 1878, recreational cycling was enough established in Britain to lead to formation of the Bicycle Touring Club, renamed Cyclists Touring Club. Vehicles for human transport that have two wheels and require balancing by the rider date back to the early 19th century. The first means of making use of two wheels arranged consecutively, and thus the archetype of the bicycle, was the German draisine dating back to 1817. The term bicycle was coined in France in the 1860s, there are several early but unverified claims for the invention of the bicycle. The earliest comes from a said to be from 1534 and attributed to Gian Giacomo Caprotti. In 1998 Hans-Erhard Lessing described this as a purposeful fraud and equally unverified, is the contention that Comte the Sivrac developed a célérifère in 1792, demonstrating it at the Palais-Royal in France. 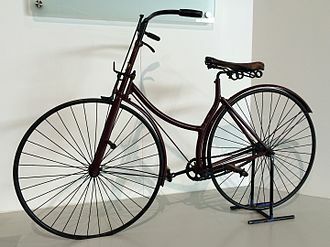 The célérifère supposedly had two wheels set on a wooden frame and no steering, directional control being limited to that attainable by leaning. A rider was said to have sat astride the machine and pushed it along using alternate feet and it is now thought that the two-wheeled célérifère never existed and it was instead a misinterpretation by the well-known French journalist Louis Baudry de Saunier in 1891. The first verifiable claim for a used bicycle belongs to German Baron Karl von Drais. 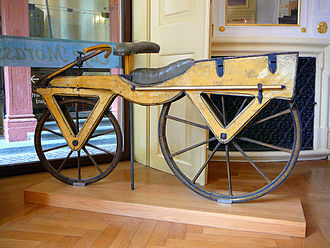 Drais invented his Laufmaschine of 1817 that was called Draisine or draisienne by the press and it was initially manufactured in Germany and France. On his first reported ride from Mannheim on June 12,1817 and this design was welcomed by mechanically minded men daring to balance, and several thousand copies were built and used, primarily in Western Europe and in North America. 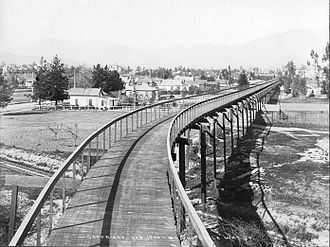 Its popularity rapidly faded when, partly due to increasing numbers of accidents, however, in 1866 Paris a Chinese visitor named Bin Chun could still observe foot-pushed velocipedes. The concept was picked up by a number of British cartwrights, during the summer of 1819, the hobby-horse, thanks in part to Johnsons marketing skills and better patent protection, became the craze and fashion in London society. The dandies, the Corinthians of the Regency, adopted it, riders wore out their boots surprisingly rapidly, and the fashion ended within the year, after riders on sidewalks were fined two pounds. Classes generally use specialized stationary bicycles. Features include a device to modify the difficulty of pedalling, specially shaped handlebars. Many have a flywheel, which simulates the effects of inertia. The pedals are equipped with toe clips as on bicycles to allow one foot to pull up when the other is pushing down. They may alternatively have clipless receptacles for use with cleated cycling shoes, padded shorts aid comfort and avoid the chafing caused by the sewn seams in underwear. If the exercise is not done correctly or the position is bad, injuries can occur, problems with the lower back. To avoid injury and aid comfort it is important to make sure the bio-mechanical position of the rider is correct, group cycling bikes have a wide range of adjustment, and it is essential to obtain the correct setup prior to riding. The seat position must be right for the participants height, the height of the seat should be in level with the hip when the participant is standing next to the cycle. Horizontally, the seat should be set in order for the front of the knee to be directly in line with the ball of the foot when the pedal is pointing forward. This results in a position where the knee is bent at an angle between 25% and 35% when the leg is extended with the foot resting flat at the bottom of the pedal stroke. Handlebar height can be adjusted for comfort, less experienced riders may want to set them higher to lower back discomfort. A reasonable reference point is to set it in level with the seat, some of the movements and positions include hill climbs and interval training. A well-trained instructor uses music, motivation and enthusiastic coaching to lead students through a ride that best suits their fitness level and goals. Most instructors will lead what is called a ride, where students will sprint, run and jump all in the same ride. In the early 2000s, terrain-based classes that simulate outdoor conditions were introduced, terrain-based classes are designed to improve a riders outdoor skill set and increase endurance while providing an intense cardio-based workout. One of several streets of the grid that was applied to the hilly site of Piraeus. A street in the Medina of Marrakech, showing the "wall" effect of agglutinated buildings and the absence of lower floor windows. A time trial racing bicycle. A bicycle set up for winter commuting with metal-studded tires, an enclosed chain case, and enclosed drum brakes. A mountain cyclist riding through a snowy field. Bradley Wiggins in the yellow jersey, finishing the 2011 Critérium du Dauphiné. Racing bicycles are light in weight, allow for free motion of the legs, keep the rider in a comfortably aerodynamic position, and feature high gear ratios and low rolling resistance. A TransJakarta bus serving Corridor 2 (Harmoni-Pulo Gadung).